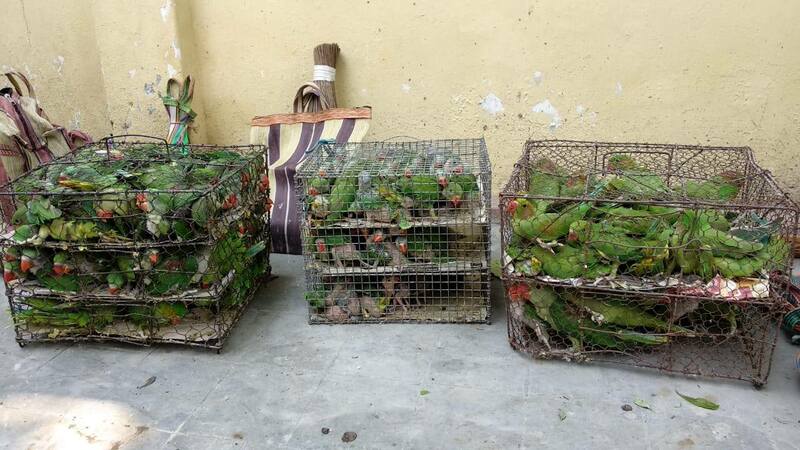 Wildlife authorities saved around 550 protected birds earlier this month, rescuing them from an illegal marketplace. 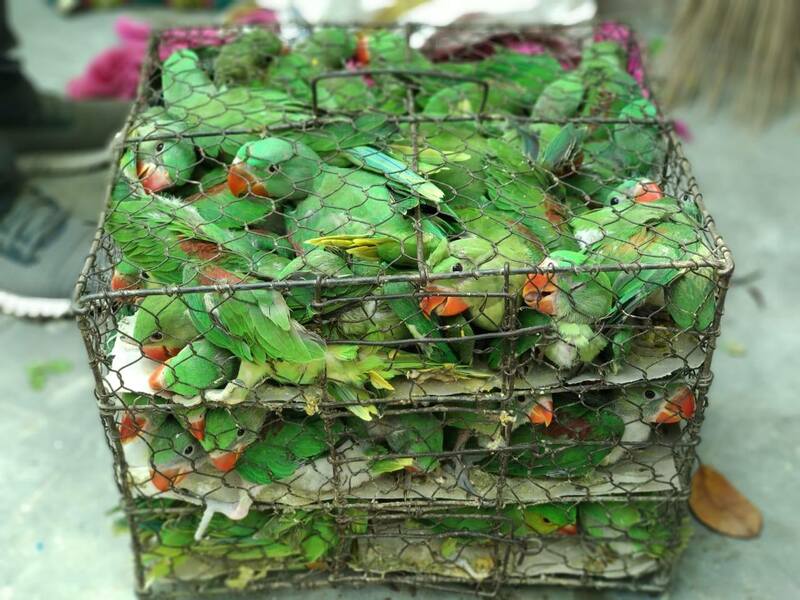 Hundreds of parakeets, Asian koels and hill mynas were found locked inside tiny cages, being forced to live in cramped conditions. The Crime Control Bureau (WCCB) of the Union Ministry of Environment, Forest and Climate Change, and the West Bengal Forest Department rescued the birds during two raids on Galiff Street in central Kolkata, West Bengal, on April 7. 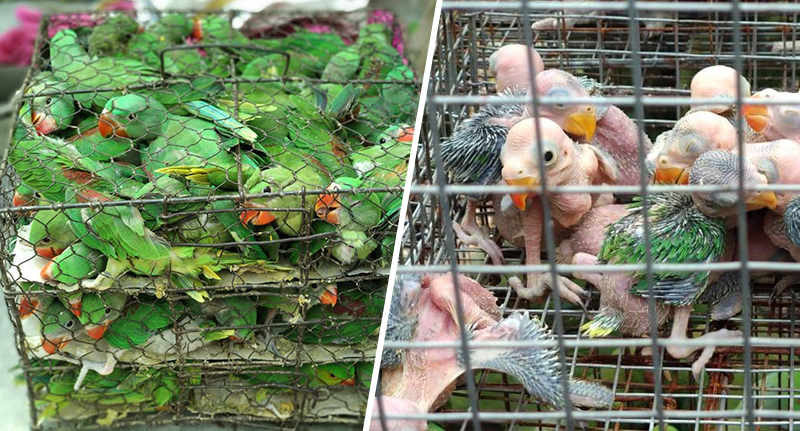 The traffickers had captured the animals, which included newly born chicks, and hoped to illegally sell them on as pets. According to The Hindustan Times, nine people, aged between 18 and 32 years, were arrested in total during the two raids. Agni Mitra, regional deputy director of the WCCB, confirmed following the first raid the teams received information sellers had changed location and were operating again. Since the birds usually don’t survive living in such conditions, especially newborn chicks, they were immediately taken to vets. Over the past years, West Bengal has emerged as a major market for illegal traders who deal in both live and dead animals. A senior official of the West Bengal Forest Department, described it as an ‘unending problem’ to The Hindu, adding that’s partly because people do not realise it is illegal to keep some species of birds as pets. In 1991, an amendment to the 1972 Indian Wildlife (Protection) Act made it illegal for any Indian bird, except the house crow, to be hunted, trapped, caged or traded. However, in areas like Galiff Street this happens with traders claiming they are dealing in wild exotic birds, which is allowed, instead of wild Indian birds. Abrar Ahmed, ornithologist and former consultant to NGO Traffic International’s Bird Trade Project, has studied the market over the past two decades, concluding out of 1,300 Indian species of birds, about 450 are being traded in domestic and international markets. Of these 450 species, 23 are listed in the International Union for Conservation of Nature (IUCN) Red List of Threatened Birds while 19 others are classified as ‘near threatened’. While there are provisions in the nation’s law which allows the prosecution of buyers of the illegally traded birds, it is not being implemented. Law enforcement authorities believe this would be taking the issue ‘a little too far’, while the clandestine nature of the trade would also make prosecution difficult.